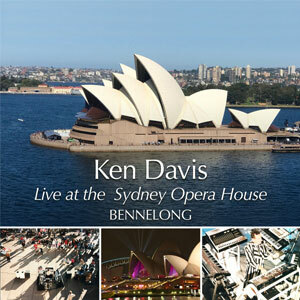 ‘Ken Davis Live’ expresses Ken’s love of music, recorded ‘live’ at the world renowned Sydney Opera House where he played each week on long sunny afternoons at the Bennelong forecourt. The sound of his music floating across the Sydney Harbour precinct enchanted passers by and his loyal fans. Album only available for download.